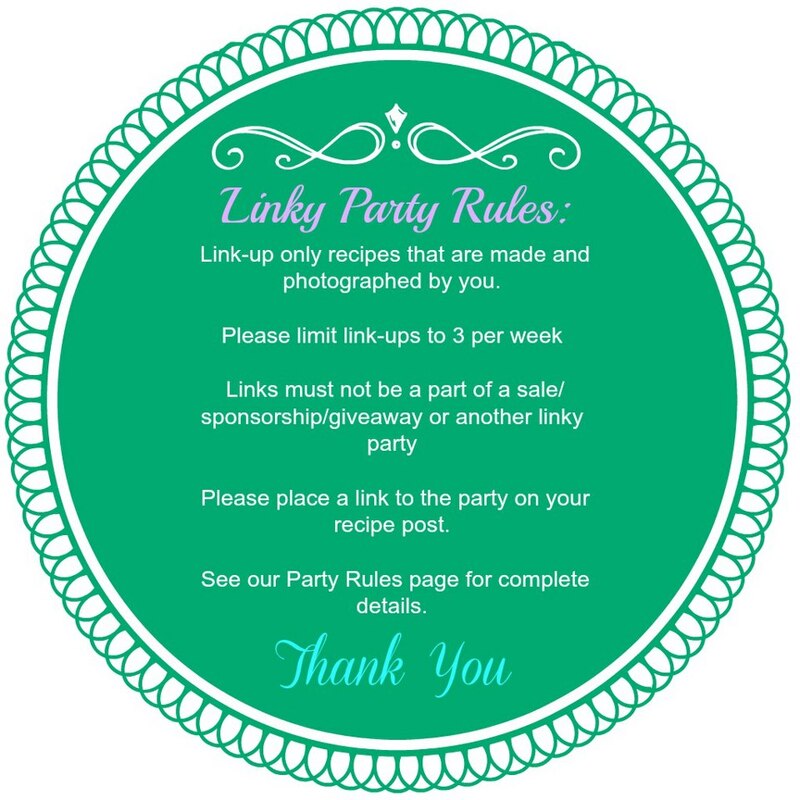 Welcome to this week’s Foodie Friends Friday Linky Party. Thank you to all who joined last week for making it such a huge success. Our two sponsors this week are Camille from Growing Up Gabel and Jennifer from Shared Joy. Camille will be giving away 2 hand made dish towels and Jennifer will giving away a pair of button earrings and a headband from her Etsy shop. You find Camille on Facebook and Pinterest. Jennifer shares homemade fabric button accessories and more to brighten up your day and brighten the hearts of others! Experience the love that goes into these pieces, a love that comes from a caring new mother who has her own bundle of joy! Visit Jennifer’s shop Shared Joy and on Facebook. Get Ready to Party and link up this week’s favorite recipe. We try to keep things fair. Please limit your recipes to only 3 per week. We also ask that you be sure to add a link back to Foodie Friends Friday and the host website you linked up on so that we can promote your recipe. Here are this week’s co-hosts. When you link up to one blog it will show on ALL of the hosts blogs!! Please do stop by each of the host’s blogs to say “hi” and let them know you joined the party! If you link up your recipe here please leave me a comment below. I will be featuring a host pick every week so please let me know you have joined the party. It’s the only way I can personally thank you for coming. Don’t forget to stop by Monday to check out this week’s Host Favorites on the Daily Dish. The Daily Dish has recipes, tips, crafts and much more.